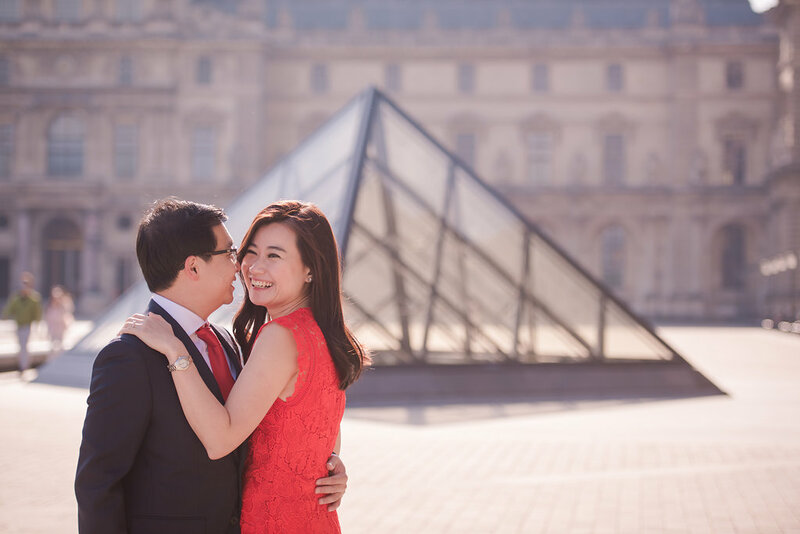 Shortly after their engagement, Alicia & Wei came to Paris for a pre-wedding photo shoot! We were able to get to a couple of locations during their session including the Eiffel Tower Trocadero location, followed by the Louvre. How amazing is Alicia’s red dress on the backdrop of the Louvre Chateau? ← Happy Pride 2018, Paris!